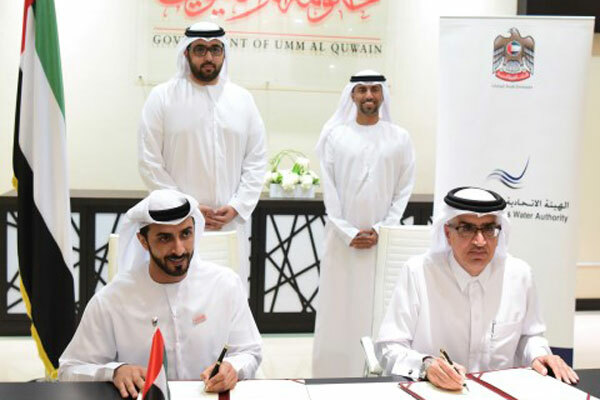 UAE’s Federal Electricity and Water Authority (Fewa) will build a 200MW solar energy plant in the northern Emirate of Umm Al Qaiwain under an agreement between the federal authority and the local government of the emirate. The project will be put in place at Falaj Al Mu’alla over 5-million meters and will provide the emirate with solar energy. The agreement falls within the scope of UAE’s “Energy Strategy 2050,” which aims to raise the contribution of clean energy to the total energy produced to 50 per cent, noted the Gulf country’s minister of energy and Industry and Fewa Chairman, Suhail bin Mohammed Faraj Faris Al Mazrouei. “The UAE, over the next three decades, will focus on diversifying its energy sources and adopting the best relevant practices, to preserve the environment and ensure the sustainability of its natural resources for future generations, as well as to reduce its reliance on fossil fuels and gas,” he added. Posted by KanelkaTagba on Dec 26 2018. Filed under Energy, Headlines. You can follow any responses to this entry through the RSS 2.0. Both comments and pings are currently closed.